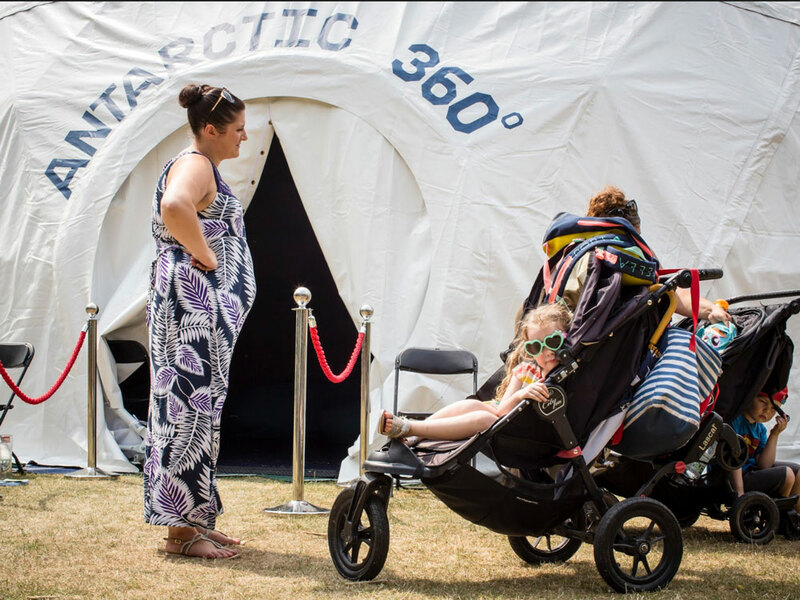 About: An international summit of the world’s leading scientists specialising in climate change called for something really special. 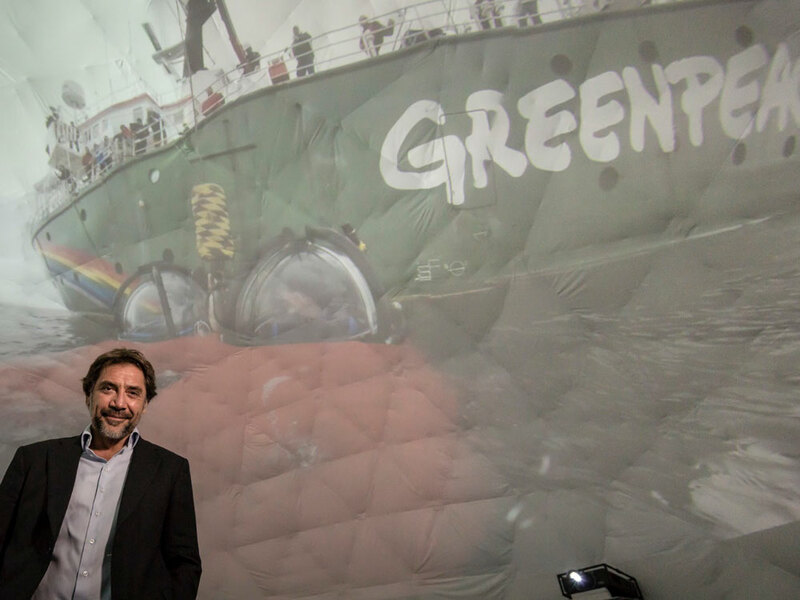 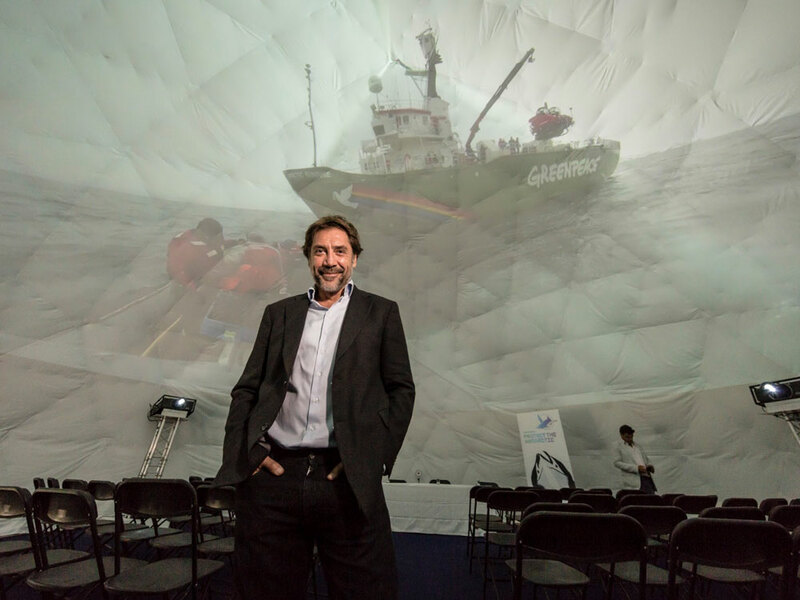 Whilst on an expedition in Antarctica Greenpeace had gathered footage to turn into a short film narrated by Javier Bardem, the Oscar-winning actor and their Antarctic ambassador. 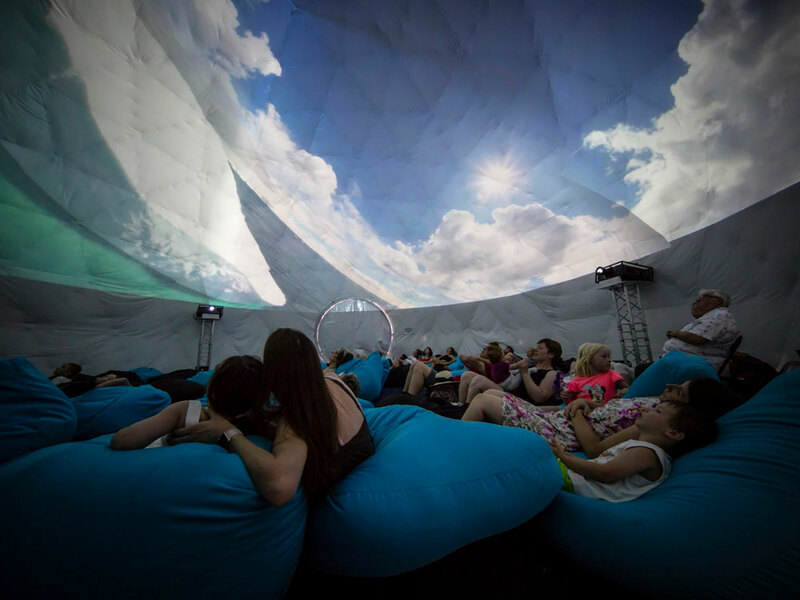 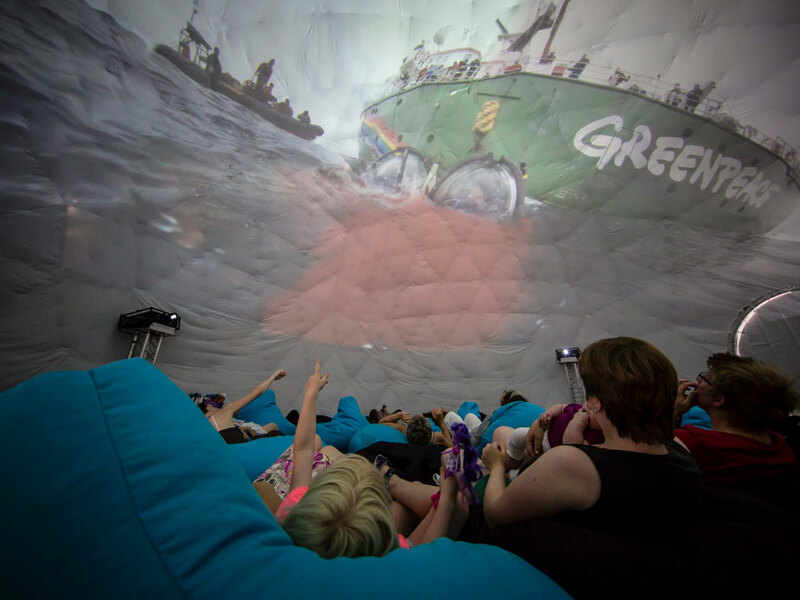 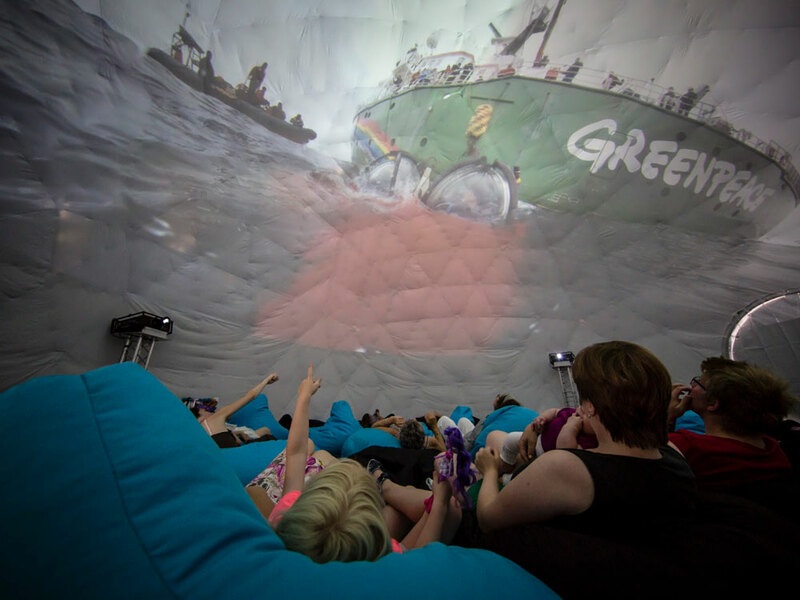 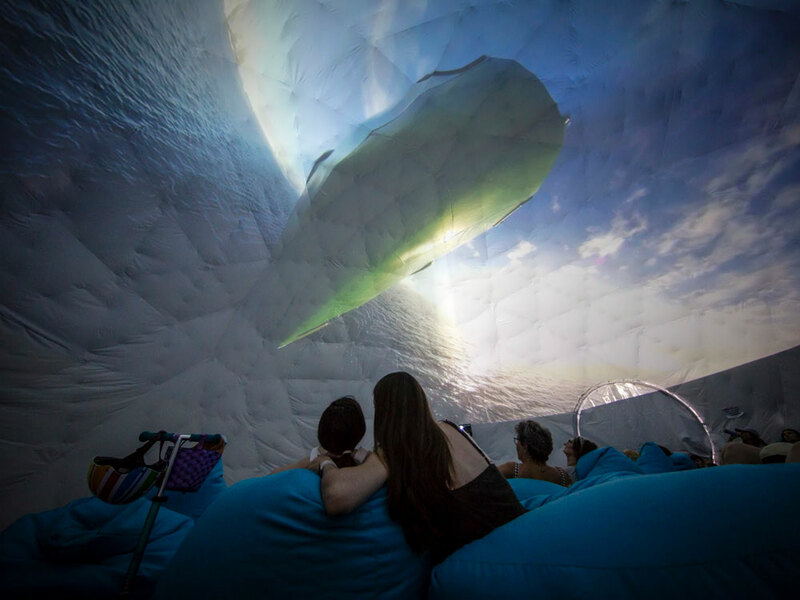 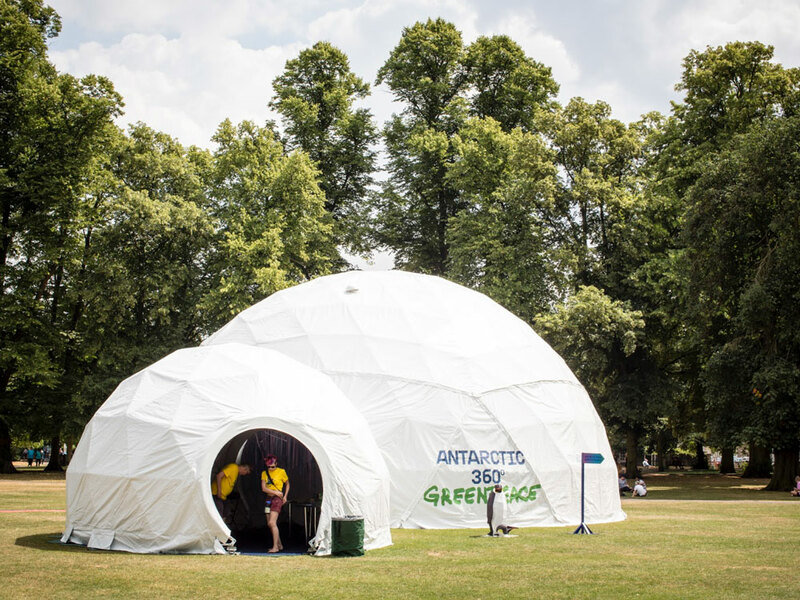 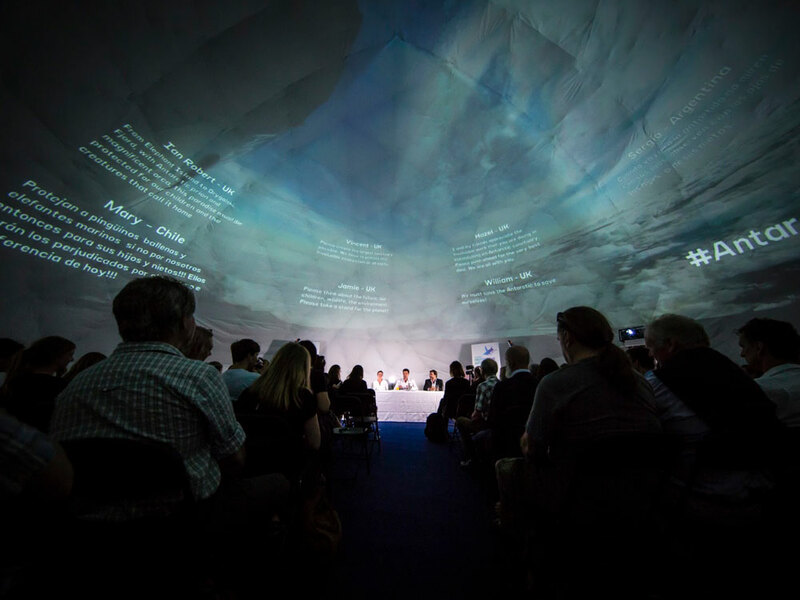 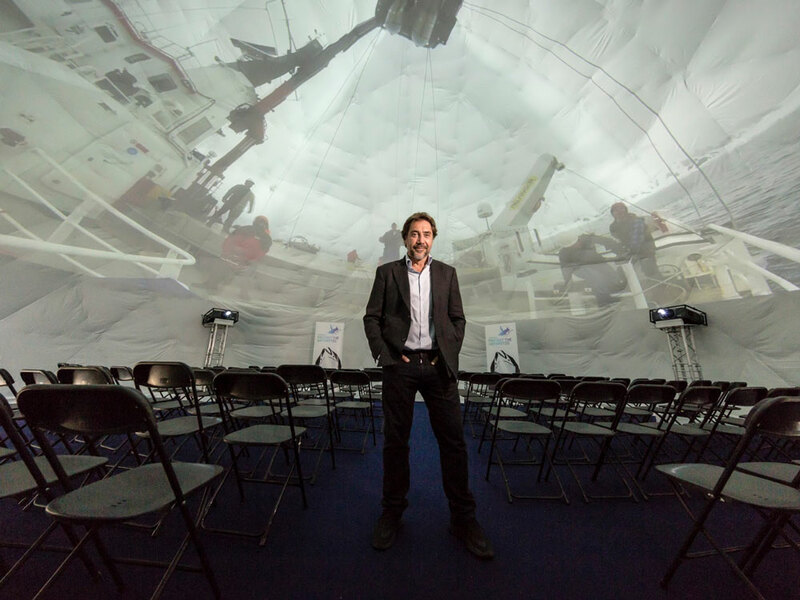 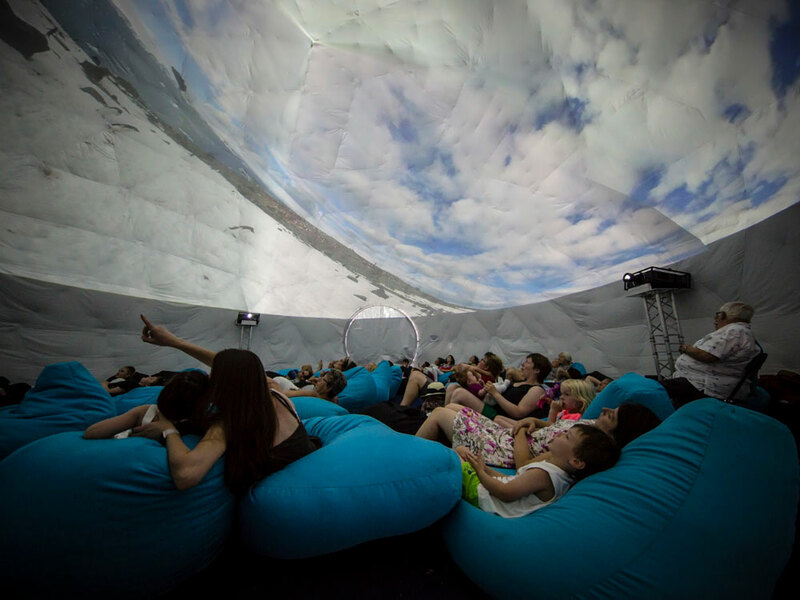 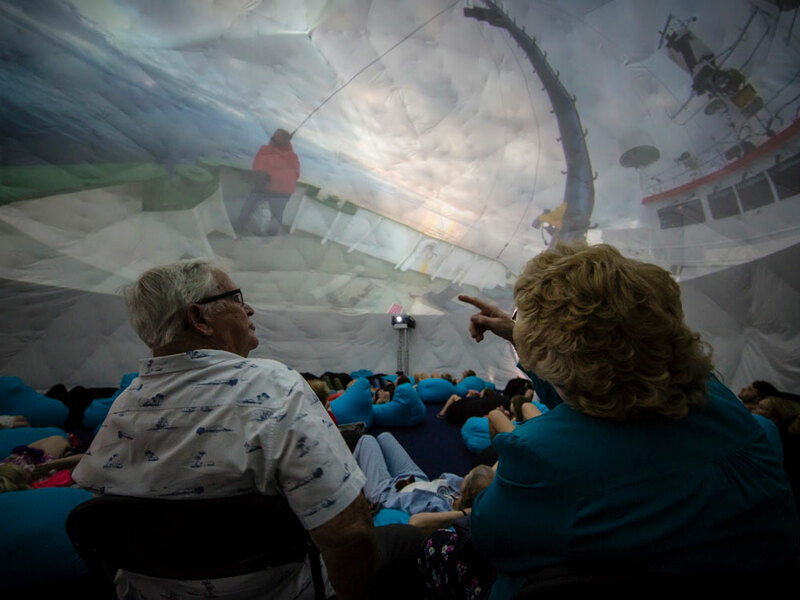 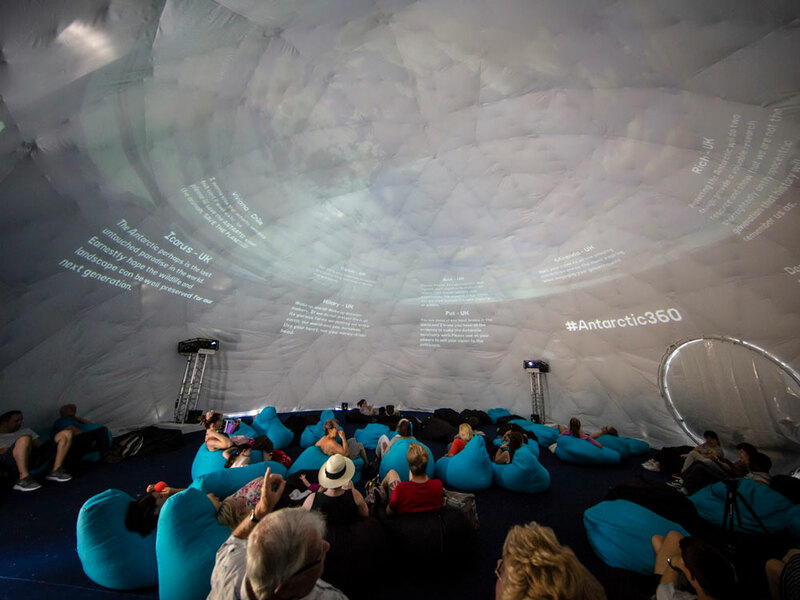 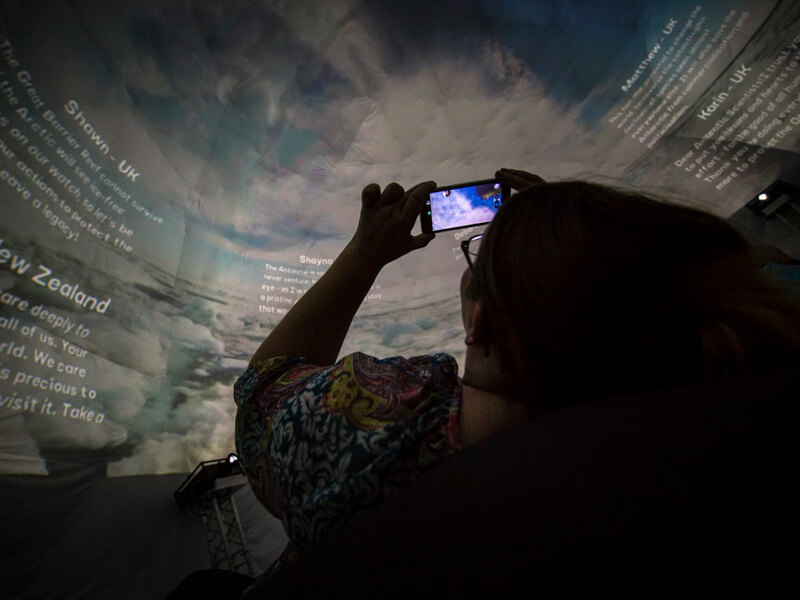 Their 360° footage was right at home in our dome, and over the 5-day summit in central Cambridge, we played the collated film on a loop, generating a huge amount of interest. 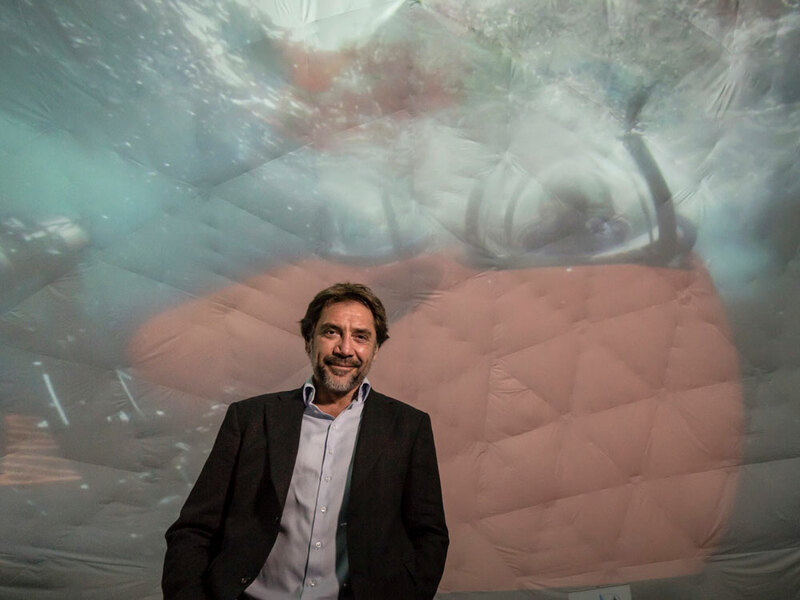 Queues of people, talks by Bardem himself, and thousands of messages of support from around the world contributed to making this event particularly meaningful. 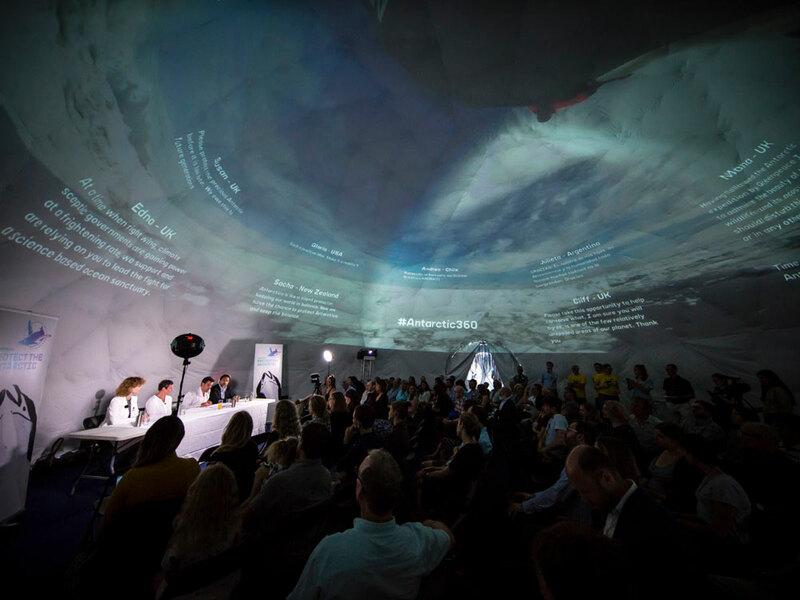 Those messages were broadcast around the domes to highlight the global nature of this project.